1 Assuming standard planting spacings such as 9' x 7' for approximately 700 vines/acre. 2 This product is not cost effective for large plantings. 3 This product will not supply adequate potash at the rates needed for nitrogen fertilization. Supplement with muriate of potash. Table 1. Approximate rates of application per acre and per vine of three fertilizers for vineyard nitrogen and potassium fertilization. 1988; Ramsdell, 1994; Wolf and Poling, 1995). A companion to this publication has been specifically prepared as a guide for insect and disease identification and control in small vineyards (Zabadal, 1999). Sources of these publications are listed in Appendix A. Control of most insect pests is a matter of inspecting vines. When an insect problem is detected, an appropriate insecticide should be applied. Grape berry moth is an exception to this strategy. This pest directly attacks the fruit, so by the time it is detected, fruit has already been damaged. Berry moths may never be a problem for many vineyards. When they are present, however, fruit damage can be extensive. It is possible to monitor a vineyard for the presence of grape berry moths using a berry moth pheromone trap. However, most small vineyards seldom utilize this technology. Most often a grower will recognize significant damage to fruit by berry moths when it is too late to control them in the current year. That experience, however, will alert the grower to the need to apply preventive spray for this pest in subsequent years (Zabadal, 1999). Begin disease prevention early. Many grape diseases infect vines at early stages of vine growth. Though early-season infections are barely noticeable, they are critically important because they are the source of disease spores for later infections. 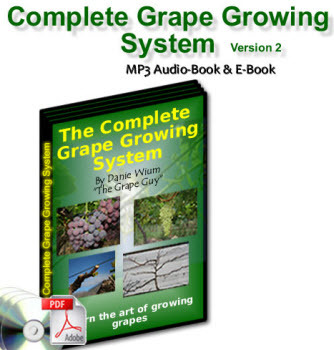 Therefore, begin a preventive spray fungicide program when grape shoots are 4 to 6 inches long. 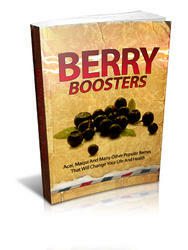 Use spray intervals of 10 to 14 days. Many fungicides control grape diseases for only a 7- to 14-day period. Have good fungicide coverage on vines preceding rainy periods. Most grape diseases infect vine tissues during rainy periods, and many fungicides must be present on grapevine tissues prior to rainfall to prevent infection. Always apply a disease prevention spray at the start of grape bloom — berry tissues are highly susceptible to infection at this time (Fig. 18). Apply a fungicide spray when 90% of the florets are open (Fig. 19) or no more than seven days after the spray applied at the start of bloom, whichever comes first. 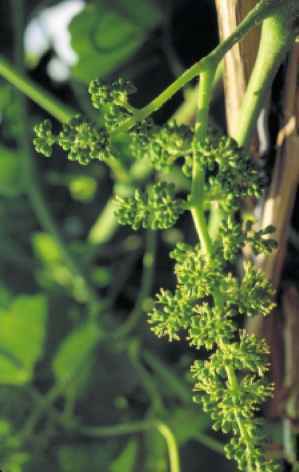 As the "caps" fall off the individual flowers (florets) on the grape cluster, the tissues that will become the grape berry are exposed and directly vulnerable to infection for the first time. This spray is the first opportunity to get fungicide protection directly on those tissues. Choose pesticide materials for sprays after bloom that minimize visible residues. Many pesticide formulations include non-active ingredients to help distribute the pesticide on vine tissues. Though these materials present no health risk, they often create objectionable visible residues long after the pesticide itself has weathered from the vine. Avoid wettable powder formulations after bloom. Use fungicides that are applied at rates of ounces rather than pounds per acre. Use liquid formulations of insecticides. Because the risk of visible residues on fruit severely limits a spray program on table grapes after bloom, a strong early-season preventive fungicide spray program is especially important for table grape production. Fig. 18 - Early bloom stage of cluster development when a small percentage of the florets on the cluster have opened. What to spray on scarlet table grapes? CAN HOME GROWN CITY GRAPES HAVE DISEASES LIKE ECOLI?